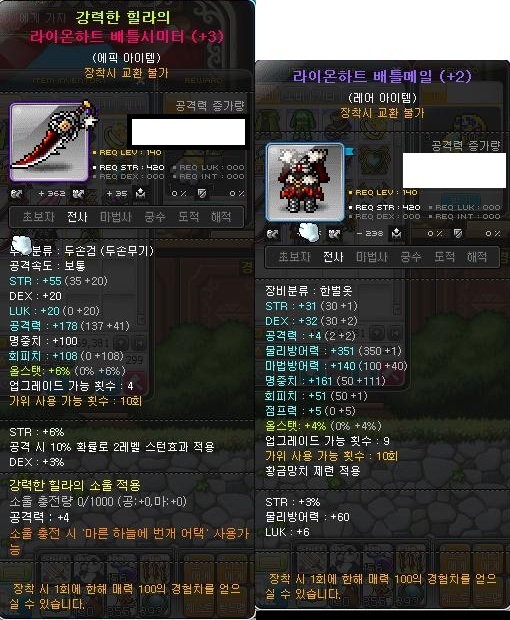 Emp Sword : 137+41 WA (Scrolled with 8att scrolls), STR 35+20. [POT] 6% All stats, 6% STR, 3% DEX, 10% chance of casting level 2 stun. Has Hilla soul +4Att. Last edited by SeeSeeElle; 08-31-2013 at 04:20 PM.